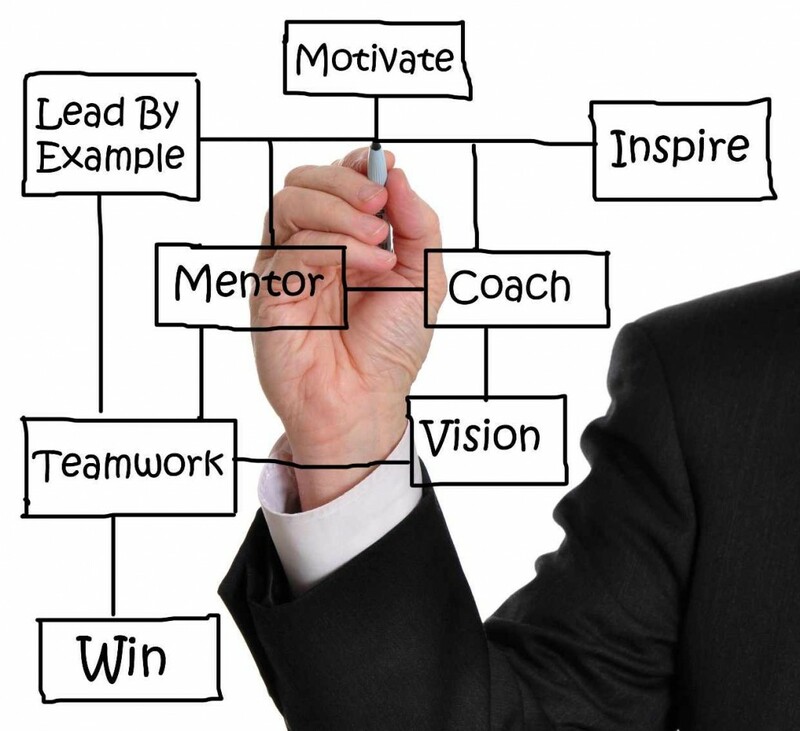 So, what’s the difference between a coach, mentor, consultant or a business advisor? If you have your own business it’s highly likely that you’ll want to hire business support. This might be a coach, a mentor, consultant or a business advisor. You may have had experience of working with one or more. Was it a good experience? Did you hire the wrong one, for example a coach rather than an advisor? Getting the right business support depends on your needs and the type of person you are. Today, I’m going to explain the differences between the four, so you can decide which is best suited to you and your business. When you work with a business coach it’s all about you and what you want out of your business. They‘ll help you to bring out the best in you and help you make the right decisions that‘ll keep you motivated and take your company forward. A coach helps you create a vision and work on a plan with you to turn that vision into reality. There’s no requirement for a coach to have business experience. They may have studied psychology, or Neuro-Linguistic Programming (NLP), and usually have a coaching accreditation. Most don’t go to your business premises; you’ll need to go to their office. Coaches work best with people who are self-motivated and driven. These are usually people who have run their own successful business and want to give their time to helping others. Mentoring can be free for businesses. A mentor can give advice and guidance to a business owner with less experience. Just like the coach, the mentor isn’t a ‘doer’. You benefit from their knowledge and experience, but you’ll have to do the work yourself. These are specialists for example in HR, IT or marketing. These range from those who offer strategic advice and planning support, to those who carry out the specialist work. Business advisors, such as myself, work with you and your team to make your business succeed and increase profits. Typically I would examine your business – as a whole and its different parts – to make sure it’s working as efficiently and productively as possible. Business advisors nearly always work at clients’ business premises. I always ensure that I find out how everything works and interacts: the people, the systems, finances and also the owner. Sometimes it’s the owner who’s inadvertently stopping the company from succeeding. That is why business advisors nearly always get much faster results than a coach. They can quickly see the problem areas. And if it’s the owner, a business advisor can teach the staff how to best manage the situation. Have you heard of Alex Polizzi? She’s the star of television series such as ‘The Hotel Inspector’ and ‘The Fixer’. And a classic example of the business advisor. Business advisors help you to implement what’s needed either by doing the work themselves or by managing the project. I have many years of real business experience, which I use to solve problems, helping companies to grow, streamline, and improve efficiencies. This experience is key, as business advisors like me have dealt with problems the same or similar to yours. We know how to solve them fast and can turn businesses around. If you need fast and effective results, and don’t have the skills to do the work yourself, a business advisor will be the best option for you. So hopefully this has given you a clearer understanding of how coaches, mentors, consultants and business advisors can help you and your business. If you need any further advice or information about how a business advisor could help you, please contact me. Watch our You Tube channel for video blogs to help your company grow and see nozeyparkers.co.uk for our full range of business services and client testimonials. This blog is called Key areas of focus for SMEs: Part 4. Please see our website for Parts 1 to 3 and for other blogs helping you build your business. So…. What should you be focusing on? Business owners frequently are so consumed by everyday tasks that they fail to draft a business plan and may not even have clear long-term goals. A business plan is absolutely crucial to success. Make sure you review it regularly, and keep track of competitors’ activities. Identify Key Performance Indicators for your business. By measuring and forecasting your business performance, you’ll have greater control. Look at ways you could make your business more scalable, so that you can replicate it. For many services it can mean taking the business online and creating packages. Franchising is an option. Also, you’ll find it easier to secure investors, or sell your business at a higher price. In this series of blogs, I have covered 9 key areas for business owners to focus on. Today it was forward planning, and scalability. Please check out our website www.nozeyparkers.co.uk for the other 3 parts in this series of blogs, and for our other blogs. Why not get in touch to find out how we can help you focus and achieve success for your business. Nozey Parkers are here to help you and your business thrive. Please call 0808 123 1399 or email enquiries@nozeyparkers.co.uk now to find out more about our support services. Our first consultation is free. This is SMEs Key areas of focus part 3. Please see our website for Parts 1 & 2 and part 4 will follow next week. It’s always important to keep a close eye on overheads and costs. All too often businesses fail to focus on costs, concentrating solely on mark up. Reducing costs, improves profitability. There are always easy wins, which won’t impact on the quality of your product or service such as phone lines, mobile phone contracts, stationery and postage. Keep eyes open for deals and for new emerging services. For example I regularly refer businesses to Signable (http://www.signable.co.uk ) which specialises in getting contracts signed electronically, quicker and at a fraction of the price of post. It’s really crucial that you keep costs down… you’ll be surprised at how much you can save, and therefore drive up profits. Good integrated IT systems are worth the investment in terms of time and money. Combined with staff training, your effective systems will help you take your business forward. Make sure your systems are streamlined, and if not, put it high on your ‘to-do’ list. With systems in place you’ll have meaningful, relevant financial data. This is important so that you’re ready for HMRC inspections, can access funding, and also so that you can sell, franchise or retire from the business at the best price. Automate wherever possible. Write down procedures and make training videos to make it less time-consuming to induct and train a new member of staff. I have covered another 2 key areas for business owners to focus on today. These are keeping costs down and efficiency and systems. Don’t forget to check out our website for more areas you need to focus on and our other blogs. Please get in touch to find out how we can help you focus and achieve success for your business. This is part 2 and comes in 4 parts so please visit website over the next few weeks to make sure you do not miss any of them and you’ll also find on there other blogs helping you build your business. So …. What should you be focusing on? Make sure you recruit, induct and train staff so they can do their jobs well and can support your business objectives. Clearly defined roles and responsibilities mean staff members will be more effective. Check their personality is right for your business and team and that there’s a good ‘culture fit’. I’ve seen this go wrong so often in businesses of all sizes, but it can be especially costly for SMEs. You, the business owner needs to lead by example. Motivate and respect your team and they will work harder for you and your business. Also use appraisals to energise staff and make them feel valued. As business troubleshooters it’s so frustrating when we see an otherwise great SME that is on the brink of collapse because of poor cash flow. Use a cash flow forecast to help you react quicker in leaner times. You’ll have advance warning and enough time to take action or to get funding in place. Also pay close attention to credit control and get invoices out on time. Here I have covered another 2 key areas for business owners to focus on. You should staff your business with the right people and manage cash flow. Nozey Parkers are here to help you and your business thrive. Please call 0808 123 1399 now to find out more about our support services. Our first consultation is free. Hello, today I’ll be looking at three key areas businesses need to focus on to survive and thrive. I’m going to be sharing what I’ve learnt, whilst running numerous businesses, to help ensure your business succeeds. This blog is part 1 and comes in 4 parts so please visit my website over the next 4 weeks to make sure you do not miss any of them and you’ll also find on there other blogs helping you build your business. Everyone starting out in business should seek help and advice. However capable you are, you won’t know everything. Search Eventbrite for news of free or low-cost training and check what’s available through business support organisations including the chamber of commerce. Consider using part-time staff or outsourcing key activities such as finance. This’ll keep costs down and help your business grow, giving you more time to concentrate on other areas of your business. It’s all about confidence and having the right positive attitude when it comes to sales. Make sure you and your sales team share the same business vision, otherwise customers will receive mixed, or worse, inaccurate messages. Ensure you spend time on developing your sales strategy and your team. The Internet, digital and social media, have changed business forever. Explore ways you can use these as a selling platform to grow and promote your business. Research your competitors and know what services and goods they are offering and at what price. Identify your Unique Selling Point and how you can add value. Work on your marketing strategy and plan, and identify opportunities that offer good return on investment. Don’t hold back in promoting your business, your goods and your services, with confidence and conviction. But it’s also important to avoid the ‘hard sale’. Concentrate on building your brand and reputation and seek to engage customers and prospects. In this blog, I have covered only 3 of the key areas for business owners to focus on. You should seek out help and advice, have a positive attitude in sales and know your competitors and customers. Don’t forget to check out our website for other blogs covering more areas you need to focus on. Today I’m going to give you three ways to increase your profit. These three small changes will make a huge difference to your business. Talk to your suppliers – We’ve seen businesses reduce overheads by ordering goods during suppliers’ quiet times, by obtaining big discounts. Change your suppliers – For example, we’ve saved businesses thousands of pounds off their insurance by working with a good broker. Review your overheads – We’ve helped our clients save 60% off their bills just by shopping around. A robust accounting package allows you to identify the good, the bad and the downright ugly. It tracks actual against budgeted figures, and flags up waste. Review processes and procedures, including the customer journey. Your staff will work more efficiently with the right tools to do their jobs. Key Performance Indicators (KPIs) provide focus. They are a great tool for monitoring the progress of your business. Why not link staff pay and benefits to your KPIs? It will make them more productive and motivated. Regularly look at your profit margins. You should be thinking about the following categories and what you need to do, for each of your products and services. … eliminate! Stop doing it! … it’s time for a sales push! … increase price and reduce costs! In other words increase your profit margin. I will be posting some articles and tools on social media over the next 2 weeks that will help you calculate your profit margins. Nozey Parkers are here to offer great business advice and support for you and your business. Check out our website for more of our blogs or call 0808 123 1399 or email enquiries@nozeyparkers.co.uk to find out how we can help you. Last time I talked about the first 6 reasons why 8 out of 10 businesses fail, in our blog Reasons why businesses fail : part 1. It sounds so obvious, but do you have a market for what you are selling? Is there a demand for your goods and services, and is it profitable? Ensure that you know your market, your customers, and that what you offer them will cover your costs and create a sustainable profit. Do your research, talk to potential customers, and plan. You also should have a number of different income streams. You’ll only have a business if you can get people and businesses to buy from you, on a regular basis, and at a profit. Businesses fail when their owners don’t have enough belief in the business or themselves, or don’t commit enough time, energy and enthusiasm. Ensure you don’t lose the passion. Write a list of why you want to run your own business, and what it means to you. Read it regularly… especially when self-doubt or lacklustre threaten to derail you! Make sure you are physically and mentally robust for the challenges ahead, and don’t be afraid to make mistakes… so long as you learn from them. 3) Where’s the business plan? Many people start a business, with a product or service in mind, but without any clear business plan. Ensure you have a clear business plan, outlining where you want the business to go and how you’re going to get there. And keep a tight control of finances! Of course you’ll also need a business plan to secure business funding. Think carefully about where you locate your business. Can people find you? Is there enough footfall? What about competitors? For some businesses it can be beneficial to be close to competitors, but for others it can be a serious threat. Similarly think about your location in virtual terms. Can businesses find you on line? Is it clear you offer what they need at the right price? In the words of TV’s Kirstie Allsop and Paul Spencer it’s all about ‘location, location, location’. Brush up on your people management skills. It’s not enough to pay staff. To be really successful you need to ensure that everyone is supporting the business’s core values. The team needs to understand its objectives, feel part of it and that they are appreciated. At Nozey Parkers, we always reiterate the importance of selecting the right people for the business and of nurturing them. If you are not good at managing people, and don’t feel this is your area of strength, employ someone who is, and develop your skills. It’s not enough to do what you do well. You need to market yourself. Research your target market, identify how, where and when to engage them. Also understand the triggers that stimulate purchase. Have a clear marketing and sales plan. Measure, evaluate and improve to ensure that your marketing is working with a good return on investment. There are plenty of resources and examples of best practice for you to use for free… just search online. Don’t forget businesses are also expected to have their own website, and increasingly, to be active on relevant social media platforms. In this blog, I have covered six common reasons businesses fail, from not having a good business model, or marketing, sales and business plan, to lacking drive, not being a good boss and poor location. Don’t become one of the eight in 10 who fail. Become a business success. Get in touch to find out how Nozey Parkers can help you avoid failure and achieve success for your business. Look out for our other blogs and video blogs, to help you and your business thrive. Check out our website or email enquiries@nozeyparkers.co.uk or call 0808 123 1399 now to move our business forward. Tina Marie Parker, business advisor, trouble-shooter and turnaround expert, has been helping businesses for nearly 30 years. From start-ups to succession planning. From companies going through rapid growth to companies desperate to see some growth. She helps them thrive and survive. Great business advice and hands-on support for your organisation, getting the desired results, fast. Did you know that 8 in every 10 businesses fail within the first 18 months. Today I’m talking about why those businesses fail and how to ensure your business succeeds. This is part 1 of my blog. Part 2 will be available shortly. This sounds like a good thing, right? The success we all dream of? Unfortunately no, often that’s not the case. Unexpected growth for most people will mean chaos. They simply can’t cope. It can place terrible pressures on both their work and home life. Plan your business with success in mind. Make your business scalable. The right systems, processes, and people, will make all the difference. We all know that cash is King. It doesn’t matter how good the business is. If you aren’t in control of your cash flow, your business will fail. Always, always, always, make sure there’s enough money in your business. Don’t mix up your business and personal finances. Keep them separate. Avoid dipping into business funds. You’ll find yourself unable to pay HMRC, key suppliers and staff. I’m always surprised when business owners tell me they don’t know their customers. You really need to understand your customers and ensure that you tailor your business, profitably, to their needs. Get to know their goals, their values, behaviours and their business challenges or pains. Listen to your customers, ask them questions, gather information, and use these details to provide answers and solutions. It’ll help you grow your business. Linked with good customer service, you’ll be developing long-term customers and even brand ambassadors. It’ll reduce the cost of customer acquisition and help keep you one step ahead of the competition. More and more people are leaving full-time work to start up their own businesses. We’re all unique as people, but what about our businesses? So… How do you make your business stand out from the crowd? This goes back to understanding your clients, and what they need. Be different, in a way that best serves your customers, and you’ll gain a good share of the market. We are all bombarded with so much information that businesses can’t afford to give confusing messages. We’ve all seen the adverts that don’t make sense. The images that seem to miss the target audience. Or emails sent out at the wrong time. Be concise, clear and compelling. Think about the text and images you use. Make sure they resonate with your customers. Make it easy for customers to respond. It’s all too tempting to think you need to spend all your time 24/7 in the business. In my video blog on chaos, I emphasise the importance of working ON your business. Ensure you dedicate the time, energy and resources on personal development. Invest in professional coaching. Get a mentor. Watch video blogs. Follow experts online. Read a book. You can always learn how to improve your business. In this blog, I have covered six common reasons businesses fail, from not planning for growth and poor cash flow, to not understanding their customers and not standing out, as well as poor communication and lack of personal development. Don’t become one of the 8 in 10 who fail. Become a business success. Get in touch, to find out how we can help you avoid failure and achieve success for your business. Nozey Parkers are here to help you and your business thrive. Check out our website or phone 0808 123 1399 or email enquiries@nozeyparkers.co.uk to book your free initial consultation. There are numerous ways to increase you profit. Small changes can make a huge difference to the bottom line. Reducing costs and increasing sales are the 2 main ways for most businesses. With costs there is a finite number of ways and limits to the reductions that can be made, however, increase your sales and as long as your margins are OK, this is the quickest way to generate more cash. It really is worth looking round for a better deal with most of your suppliers. If you have been with a particular supplier for a long time they are more likely to be open to negotiation as they will not want to lose your business. When insurance comes up for renewal look for a better broker that will do the hard work for you. He should be able to negotiate on your behalf and could save you thousands. In my corporate life I often saved companies thousands by shopping around for insurances, it is a very worthwhile exercise. You should review your utilities, telephone and internet providers regularly as they are so many options to choose from and they all want your custom. In my experience I have saved companies over 60% of their bills by keeping a look out for better deals. Another way to reduce costs and overheads is to streamline your systems and processes. A robust accounting package would make sure that you had up to date, relevant information that would allow you to monitor your margins, compare actual v budget figures, and be able to see clearly where any overspend was happening. This would help eliminate wastage both in terms of time and materials. If your staff have the right tools to do their job then they will be working more efficiently, and a piece of software, or a clear procedure, could be the tool that they need. Once you have the correct systems, processes and procedures in place, and have them documented clearly, you will be able to monitor the performance both of your team and your company. Key performance indicators or KPIs for short, give your staff something to focus on and will give them goals to work towards. Just make sure that they are the right critical indicators for your business; if in doubt get advice. You and your senior team need to be working on taking the business forward and growing, you don’t want to be wasting time on simple tasks that can be delegated to junior staff on a much lower pay rate. By linking pay and benefits for staff to the company’s performance, it will make them more productive and motivated on helping the company to succeed. The internet and social media have really taken the business world by storm over the last 20 years. Using the internet and social media to sell and promote your business is not only free but it means you can reach markets that before would have been very difficult to gain access to. Strategic alliances and joint ventures open up new distribution channels and mean that suddenly you have the resources to tackle projects that before you might have turned away, due to lack of knowledge or manpower. You need to be chasing sales and should have members of staff that focus on bringing in business. Don’t just sit there are wait for the phone to ring! If you don’t look after your customers your competitors will, so have good customer service procedures in place, and look at nurturing customers so they will be with you for many years. It is well worth credit checking all new clients and setting a credit limit for them. Have a range of products and services and always be able to offer clients an up sale of what they currently purchase from you. Working out your gross margins for all your product ranges individually, will give you a much clearer picture of where money can be made within the business. You can then focus on the ones that work. It has been reported that 8 out of 10 businesses fail within the first 18 months. Here I talk about the main reasons why this happens. If your business suddenly doubled in size, could you cope? Could you react quickly enough, or would everything crumble around you? Try and make your business scalable. Put things in place so that you can grow effortlessly. With the right systems & processes in, and the appropriate staff, you will have a fighting chance of surviving. You need to make sure that there is always enough cash to support your business. Don’t make the mistake of using the business funds for personal use. I have seen so many companies where the MDs have helped themselves to funds in one way or another, and have left the company with cash flow problems and unable to pay HMRC debts and sometimes have left the companies short for pay day! Within each of your customers is the key to your success. It is in knowing their goals, dreams, values, pains and behaviours. Know these and have the answers and solutions for them, and you could have a very successful, long term business. Make sure though that this is followed up with good customer service. Once you have a customer on board, look after them. What is your USP? What makes you different and stand out from the rest? More and more people are leaving the corporate rat race to start their own businesses. Everyday your competitors grow in numbers. You need to be different to get a good share of the market place. Be concise, clear and compelling. Your words must make it easy for your potential customers to know what you are selling, how it benefits them, and how to buy. 6. They don’t invest in personal development. You need to keep learning. You cannot know everything! Take the time to continue to add to your knowledge and expertise. Get a coach or a mentor. This will give you the motivation and drive to take your business to the next level. 7. No clear profitable business model. Do you have various income streams? This really is the one that will make businesses fail. If you cannot get people or companies to buy from you, on a regular basis, you have not got a business! 8. The owner is lacking drive. For your business to succeed you must have a passion and love for what you are doing. Challenges will come and you need to be mentally and physically robust. Don’t be afraid of making mistakes. This shows that you are trying! Learn from them and move on. 9. No clear business plan. You need to know where you want the business to go and how you are going to take it there. Not having a tight control on the financial state of your business can only lead to disaster. You will need a business plan to secure additional business funding from a bank or finance house. Opening a hairdressing salon in a road where there are already 3 others, is a really poor decision. Likewise – If you are running a shop at the end of a dead end road, the likelihood of any footfall past your door is none. This means you would have to be exceptionally well known and be selling exceptional products for people to grace your door. 11. Not being a good boss. Good people management skills are essential if you are taking on staff. You need to be able to make sure everyone is supporting the company’s core values and each and every one of your staff feel valued, they feel that their skills are being fully utilised, and that they have the right tools to do their job. If you are going to be successful, your staff are the ones that will help you get there. Choose wisely and then nurture. 12. No marketing & sales plan. You and your team need to promote your brand at every opportunity. Remember not all advertising works for all markets. Do your research and find out what will work for you. Having an online presence is essential in today’s business world. Potential customers will expect you to have a website and be active on the leading social media platforms. Remember you have many competitors. If they are doing it right then they will probably get more business than you. Don’t give them the satisfaction! If after reading this you know there are areas of your business that need looking at, then please get in touch as I would love to help. Either call me on 07784 611399 or email at tina.parker@nozeyparkers.co.uk.